Video sharing industry on Internet has seen tremendous growth in the past 2 years time. So many popular sites like Youtube, MSN Video, Metacafe, My Space Video are available to view videos online for free. You can download videos from these sites through many ways. But most of the videos on these sites are optimized for faster viewing, which resulted in poor quality. Vuze is built to en cash the drawback of these popular sites by providing High Definition videos for free. Vuze.com is a bit torrent based site from which you can download high quality videos. Vuze provides high definition videos through a variety of content partnerships with companies such as Starz, The BBC, A&E, and Showtime. Vuze also has a strong emphasis on users community. Users can create channels for content, rate the videos and have conversations around the content. Producers can upload their works and can even charge a download or rental fee. Most of the bit torrent sites are illegal as they host pirated content. But Vuze's bit torrent is 100% legal and in many cases users are charged for(this model is very similar to Apple iTunes). When it comes to user interface, it is simply amazing. It is extremely easy to browse and very simple to rate and have a conversation around videos. If you have good bandwidth and you would like to enjoy the High Definition quality videos then Vuze is the right place. 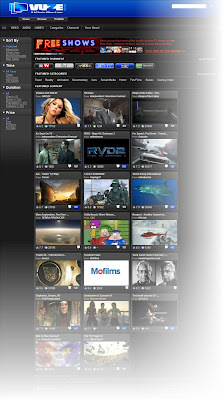 Download ALL youtube videos in High Quality from www.mundocybernet.com. You only need video URL.